Gardening Gift Baskets that will bring a smile to the garden lover! Gardening Gift Baskets for the garden lover are appropriate for any occasion; they make ideal birthday or get well gifts, Mother's Day or Father's day gifts or maybe a little pick-me-up that says "hang in there, you'll be in your garden soon!" 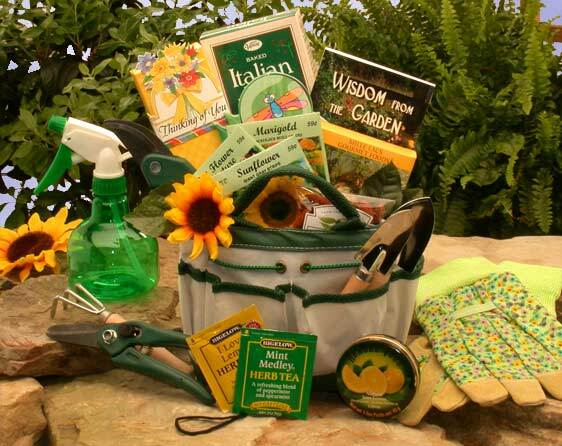 included with all of our Gardening Gift Baskets and Gift Baskets for the Garden Lover!